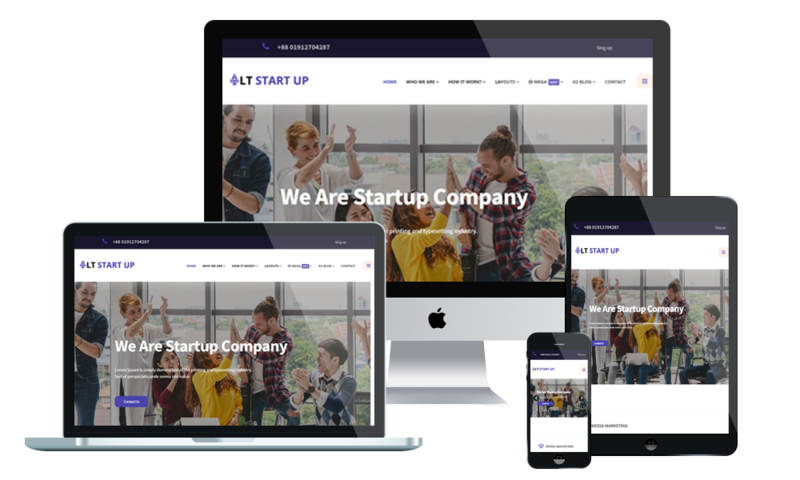 LT Start Up is a free and premium WordPress theme highly recommended for small business website, financial consulting website or forex trading company. This is an official and original for anyone looking to build their first personal website, blog or startup business with ease, backed by professional support. LT Start Up is extremely responsive that adapts to the screen resolution of all mobile devices – smartphones, tablets and desktops. It builds from powerful framework with fully bootstrap supporting strong shortcode for present content easily, drag-drop layout content, Bootstrap CSS & Hybrid framework. In addition, Start Up theme comes with unlimited color and a color picker in the admin panel to create attractive websites with various layouts. If you are a new business you only get one chance to make an impression. The template all does the job brilliantly. Let customers know who you are, what your company offer through this page, and you can present your mission, vision and history to everybody. The main title of this page shows its content. What major your company work, how products be created, and where original the products come from… would be introduced to the customers who pay attention to your products and your company. Use this page to showcase successful projects of your company like Responsive Tea Store, Premium Responsive Farmer, Joomla Template Restaurant, Joomla Template House. Basically, portfolio page will analysis the strengths, weaknesses, opportunities and challenges of your company to customers. Testimonials are online review alike. Creative WordPress theme comes with a dedicated testimonial archive page that allows you easily display what customers or clients are saying about your business. You can use it to showcase testimonials, reviews and quotes of your product or service in multiple ways! With this page, your company can showcase long-term cooperative partners for many interested customers who can learn or refer. This page allows you to display the necessary contact information about your company to customers. And with built-in Contact Form, it helps clients send feedback to your company with ease.